I know that when I think of Robert Duvall I think first of great cowboy movies, gangsters and napalm in the morning. But the casting director made an excellent choice in the picking of Duvall as Dr. Watson in “The Seven Percent Solution”. In this movie, based on the Nicholas Meyer book, Watson fears that Holmes is slipping into insanity through his use of cocaine. Nicol Williamson was another great stroke playing Holmes. The good doctor enlists the aid of Mycroft (played by Charles Gray, who would reprise the role for Brett) in a plot to trick Holmes to going to Vienna to see the alienist Dr. Freud. I won’t give away any more of the plot as the movie is well worth seeing. I must have viewed it 10 times and I still love it. Holmes, Watson and Freud are all men of honor and action. While Duvall doesn’t have an overwhelming part, his character is critical to the story and he is there to support both Holmes and Freud. Watson inspires greatness in others. Duvall does not overplay the part nor is the doctor just a stage prop. Overall an excellent job. Oh, and our friend Moriarty is there, but you’ll be surprised to find out his true role. The movie was nominated for two academy awards, the Golden Scroll from the Academy of Science Fiction, Fantasy & Horror Films, and a Writers Guild Award for Best Drama Adapted from another Medium. Anybody who doesn’t know Robert Duvall has not watched movies in the latter half of the 20th and begining of the 21st Centuries. Duvall was born 5 January 1931 in San Diego, California. His father was career navy and retired out as an Admiral. Duvall served two years in the US Army in 1953-1954 after graduating from Principia College. He went to NY to study acting after leaving the army where he was good friends with Gene Hackman and Dustin Hoffman. His first movie role was a bit part in Somebody up There Likes Me with Paul Newman. His first big part was in To Kill A Mockingbird in 1962. From then on he had fairly steady work, splitting time among movies, stage and TV. The big rolls that everyone remembers are in The Godfather, Apocalypse Now, Lonesome Dove and one of my favorites, Broken Trail. He was also the last man John Wayne shot off his horse in True Grit. 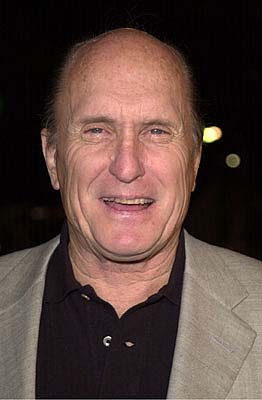 Robert Duvall has had a role in more AmericanFilm Institute Top 100 films than any other actor (6). He was awarded the National Medal of Arts in 2005. This entry was posted in Doyle, Holmes. Bookmark the permalink. 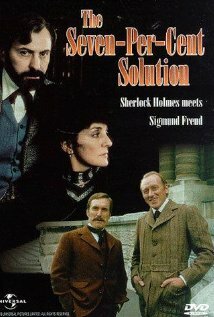 The Seven Per Cent Solution was released in 1976 and it did come out on DVD in 1998. Old VHS tapes run about $25 up to about $70. In DVD, used ones run from $100 to new ones at $175. On Amazon you can get a used UK format DVD for about $28. It will be on TV now and then and I think it was recently on Turner Classic Movies on cable. Hope that helps.